John Wesley, founder of Methodism, compared himself and Dr. Thomas Coke, the first Methodist bishop, to insects. “I creep like a louse,” he wrote, “And the ground I cover I get, I keep; but the Doctor leaps like a flea, and is sometimes obliged to leap back”. Coke, the son of a wealthy apothecary, made his first leap of faith from deism to Christianity through he reading of religious books. “There is no ground for mercy, no hope of salvation, but in and through the death of Christ,” he wrote. From this stance he never retreated. But, on other issues he fluctuated. He wavered in his opinion about whether or not Methodists should break with the established church. He could not seem to decide whether he should minister primarily in the newly-formed United States, in England, in the West Indies, France, Africa or Asia. Consequently, he often voyaged hither and yon. Perhaps in this constant movement lay the strength of his ministry because wherever he traveled he organized Methodist societies, strengthened believers and encouraged missionary activity. His evangelistic exertions earned him the title, “Father Of Methodist Missions”. Coke graduated from Oxford with a bachelor’s degree in arts and a doctorate in civil law. For a short time he worked as an attorney but soon became an assistant clergyman serving a parish in Somerset where he subscribed to John Wesley’s brand of pietism and evangelism. Bugged by Wesley’s flea, the senior rector of the parish publicly fired Coke during the Easter Sunday service in 1777; the rector led the congregation to celebrate by ringing the church bells and cracking open a keg of cider. In evangelistic fervor for missions Coke soon exhausted his personal inherited wealth in supporting missionaries, and turned to begging door to door through the streets of London to raise cash for missions. One wag he had approached asked a friend, “Pray, Sir, do you know anything of a little fellow who calls himself Dr. Coke, and who goes about begging money for missionaries to be sent among slaves? He seems to a heavenly-minded little devil; he coaxed me out of two guineas this morning”. Coke’s ardent opposition to slavery caused him not only to send missionaries to slave-holding areas but to go himself. In the West Indies, drunken sailors disrupted his sermons, owners whipped any slave daring to pray with him, and the governor banished him from the islands. “The first day we rode forty-seven miles, for about two miles of which our horses were up to their bellies in water with two great invisible ditches on the right and left”. Coke, ever a hopping flea, made nine round trips between England and America. The plight of slaves in America disgusted him and he wrote letters to President George Washington denouncing slavery. Even though Coke was a British loyalist, President Washington invited him to preach before the 1804 session of the United States Congress. Coke married late in life; at age 58 he married Penelope Smith, who shared his evangelistic fervor and liquidated her estate to support missionaries. The couple began their marriage homeless. Coke and his semi-invalid wife outfitted a sort of mobile home carriage to carry them on evangelistic trips throughout Britain. Leaving on their wedding day, they covered 400 miles in the next six weeks preaching, establishing Sunday Schools, distributing literature, and “laboring to do good even while the carriage was in motion,” Coke wrote. “We were always traveling, continually on the wing, having no home but God”. The staid churches of Britain and America need such a shot in the arm as the early itinerate evangelists provided. A contemporary writer observed, “The churches were in general filled with the parasites and bottle-companions of the rich and great… the drunkard, the fornicator, and the extortioner triumphed over bleeding Zion, because they were faithful abettors of the ruling powers”. His favorite Bible text was, “Ethiopia shall stretch out her hands to God” (Psalm 68). He used this Scripture again and again to urge Methodists to missionary enterprise. “Missions at home and abroad preoccupied him for decades. Four trips to the West Indies, a trip to Sierra Leone in Africa, the oversight of the Methodist work in Ireland, the provision of Methodist missionaries in Scotland and Wales, arranging for similar outreach in Newfoundland and Nova Scotia (he personally paid for long underwear for the Methodist preachers in Nova Scotia when he learned of the Canadian winter); this is what animated him above all else,” said Victor Shepherd, Professor of Systematic and Historical Theology at Tyndale Seminary, Toronto. When Thomas Coke was 66 years old, he organized a group of co-workers and sailed for Ceylon to establish a new mission. “The end of the Gospel is never answered unless it produces holiness of heart and life,” he asserted. Although he had always been generous in his own giving to missions, he found a sour experience in being on the receiving end of missionary support; the people who controlled the purse strings for the Ceylon mission haggled with coke over – you guessed it, chamber pots! 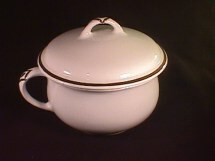 Even though some of the new missionaries traveled as servants aboard the ships bound for the Orient in order to obtain cheaper passage, the finance committee felt Coke was extravagant in outfitting the mission with supplies such as printing equipment and chamber pots – especially chamber pots. Coke had ordered pewter chamber pots; the committee thought ceramic ones were good enough for God’s servants. Just before the convoy of ships carrying the party were to sail, the committee wanted the baggage unloaded from the holes so they could examine the offending items. The ships needed to sail on schedule and unloading the supplies would have meant leaving the missionaries behind – and delaying their start for Ceylon for at least another year. 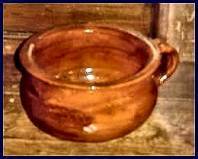 Coke paid for the chamber pots out of his own pocket so the voyage could start with the tide. Thomas Coke never arrived in Ceylon; he died on the trip and was buried at sea in the Indian Ocean. The others continued to Bombay. But, as one of his co-workers wrote on learning of Coke’s death, “The Lord doeth all things well. He buries his workmen, and carries on His work”.